Our fully accessible modern facility offers a spacious lobby entrance area, bookstore with a great variety of reading materials and gifts, comfortable lobby and hallway seating for casual conversations, a large and fully functional kitchen, a gathering hall for fellowship and dining, an education wing with 4 classrooms and a nursery, a stunning Sanctuary space featuring a grand picture window facing the Meditations Gardens, state of the art sound and video systems, and ample comfortable seating. 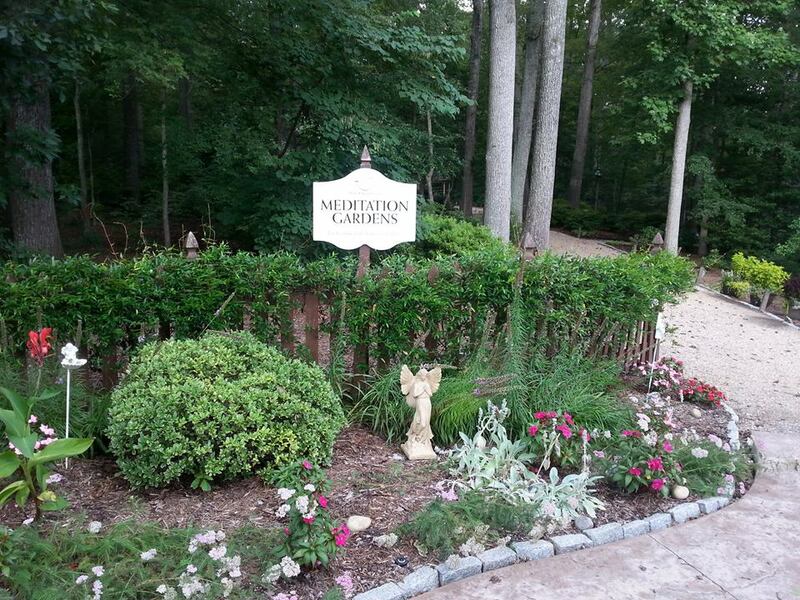 Our Meditation Gardens are open to the public from dawn until dusk daily, and cover more than 2 wonderfully wooded acres featuring winding walking paths, an outdoor classroom, fish pond, gazebo, and numerous benches and swings for quiet conversations or contemplative moments. 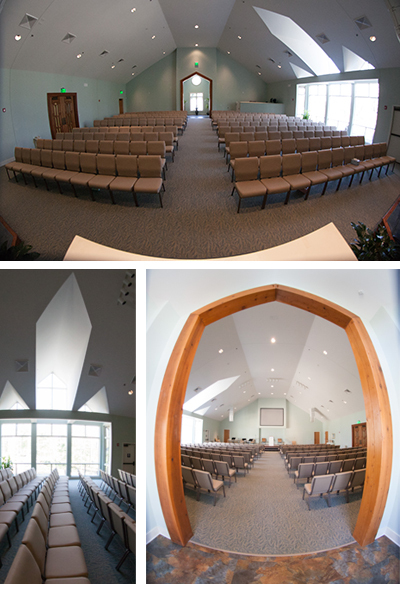 Sunday Celebration Services are held weekly at 9am & 11am, led by Reverend Laura Barrett Bennett on most Sundays, and by engaging guest speakers on occasional Sundays. Visit our Staff listing to learn more about Reverend Laura, and visit our Events Calendar to see what coming up at Unity of Bon Air. The Youth & Family Ministries provides nursery care for infants and youth education activities for youth from pre-school through high school during the 11am service. Youth group activities, including travel to retreats and rally events are available for grades 6 – 12.